Your nails and cuticles need vital nutrients to remain healthy and youthful looking. 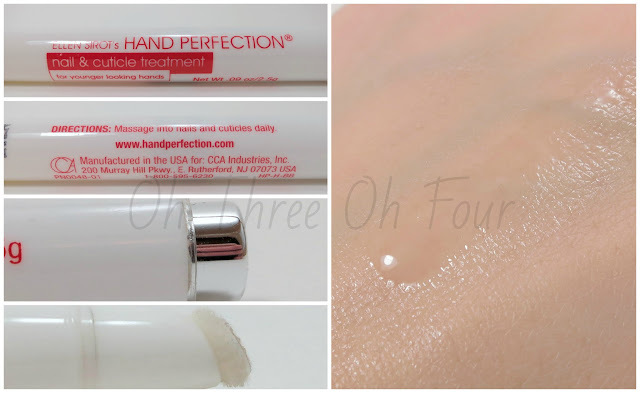 Hand Perfection Nail and Cuticle Pen contains essential oils and nutrients that instantly start improving the look and feel of brittle nails and jagged cuticles. I love that the day cream contains SPF. I honestly never thought of protecting my hands like I do my face and neck with SPF. 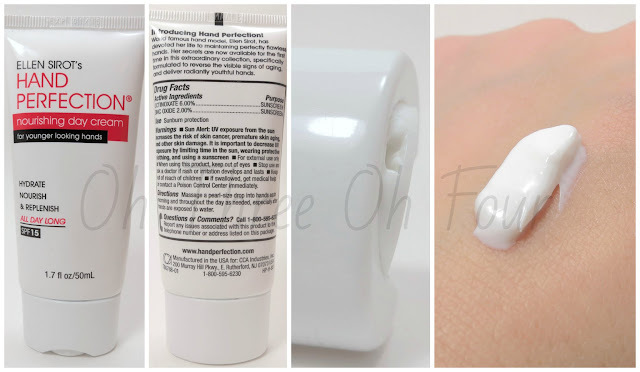 My hands and nails stayed moisturized throughout the day after only using the day cream once or twice the entire day. 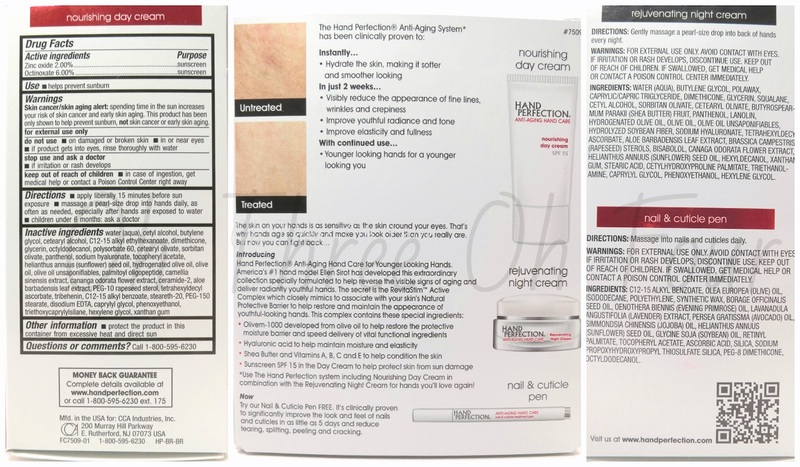 The packaging of the day and night cream are perfect! I especially love the "flip" of the day cream. The doe foot appilicator on the cuticle pen is great and I have yet to see another product like this. The packaging of the cuticle pen is a bit of a pain. It's hard to snap on the lid without pressing on the bottom (doing so would push out more product). I didn't personally see anti-aging results, but then again I hope my hands don't look too old for their age, as I am only 24! ;) They did however show a noticeable difference in staying moisturized. After looking at pictures I can see a slight difference, though I can't notice that big of change with my own eyes. I felt I needed to use a little more than suggested to distribute the product over both hands. This isn't a huge "bad" point, but I thought it should be noted. 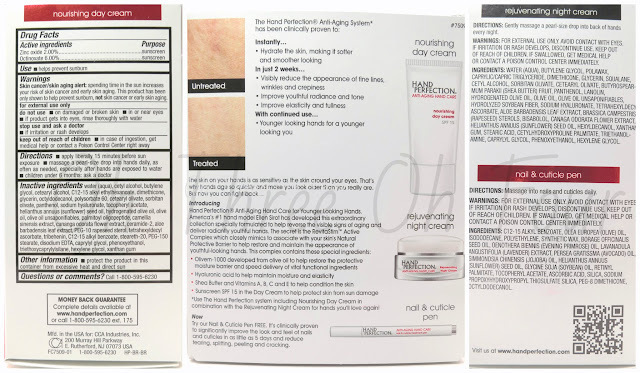 You can purchase the Hand Perfection line in store at CVS, Walgreens (haven't seen it at my stores yet, but I'm hoping soon! ), Albertsons, Duane Reade and other retailers or online. Make sure to follow Hand Perfection on Facebook and Twitter. Everything will be done via Rafflecopter. There will be 1 winner and this is not open internationally. Sorry international reader! This giveaway will end March 22, 2013 at 12:00 am EST. Winner will be announced here and on Facebook. The winner will have 48 hours to respond to me or a new winner will be chosen in their place. Products will be shipped courtesy of Hand Perfection. Hand Perfection nor I are responsible for lost or damaged delivery. Good luck and let me know if you have tried out Hand Perfection yet!